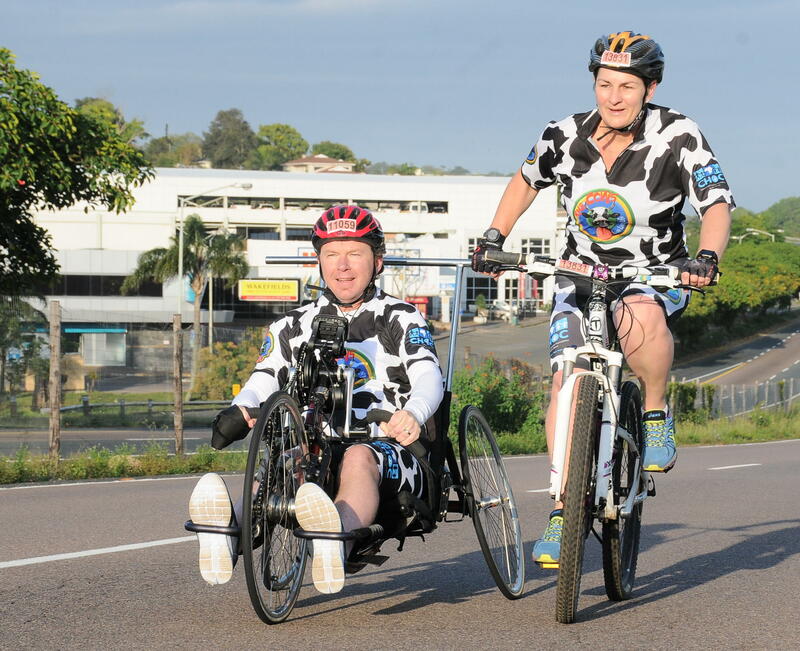 Durban - Handcyclist Oliver Sinclair who has Multiple Sclerosis will tick off an item on his bucket list when he starts his first aQuellé Tour Durban presented by Bridge Fund Managers with his 9-year-old son Tyler at the Moses Mabhida Stadium on Sunday 28 April 2019. “This will be my first Tour Durban and it will be my first event with my son. I have been waiting nine years for this opportunity,” says Sinclair, a resident of Winston Park who was diagnosed with MS 15 years ago. Handcycling has provided Sinclair with the opportunity to be involved in sports and not just watch from the side lines. “Living with MS it is important to be active so that I slow down the deterioration as much as possible. Handcycling gives me that opportunity,” he says. “Just over three years ago I underwent a Stem Cell Transplant, involving one week of high-dose chemotherapy. What got me through those long weeks was the thought that children go through this treatment, some just a few years old. So when I heard of CHOC and what they do it was just a matter of joining the dots. No child should go through that and if I can make a small difference to make their lives a little more comfortable then I will try,” he says. BRIDGE FUND MANAGERS is an asset manager specialising in providing retirement saving and retirement income portfolios. BRIDGE operates in the retail, institutional, private clients and stockbroking markets. Our unique Payers & Growers® investment methodology is designed and actively managed to assist investors in securing high and growing income streams and inflation-beating capital returns through their investment portfolios. For more information please visit http://www.bridgefm.co.za. “This will be my first Tour Durban and it will be my first event with my son. I have been waiting nine years for this opportunity,” says hand cyclist Oliver Sinclair, who will take part in the 45km race at the aQuellé Tour Durban on 28 April, seen here riding with his wife Michelle.